Xtreme 4-Cycle SynBlend Motorcycle Engine Oils are designed to provide the ultimate engine protection for high performance motorcycles ranging from conventional commuter bikes to street and racing sport bikes and cruisers. This product contains high levels of anti-wear additives and foam suppressors to maximize engine clutch and gearbox protection in motorcycle applications. Xtreme 4-Cycle SynBlend Motorcycle Engine Oils do not contain friction modifiers which may affect power transfer from wet clutches. High levels of anti-foam additives prevent harmful foam creation which can damage bearings and gears in the engine and transmission. 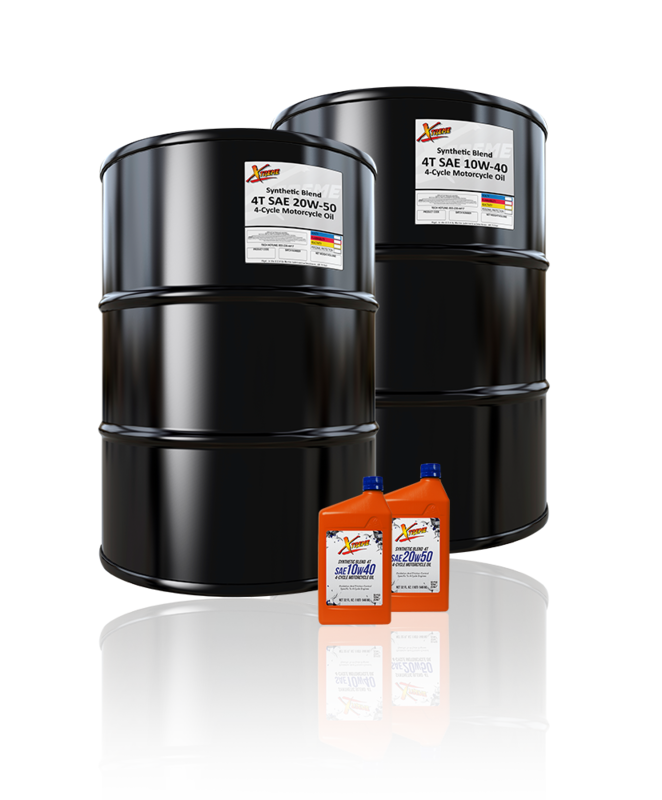 Special synthetic base oils offer maximum resistance to high temperature oxidation and exceptional low temperature performance. This product meets all OEM warranty requirements and may also be used in all types of 4-Cycle ATVs and off-road utility vehicles. Xtreme 4-Cycle SynBlend Motorcycle Engine Oils are available in the following viscosities: 10W-40 and 20W-50.